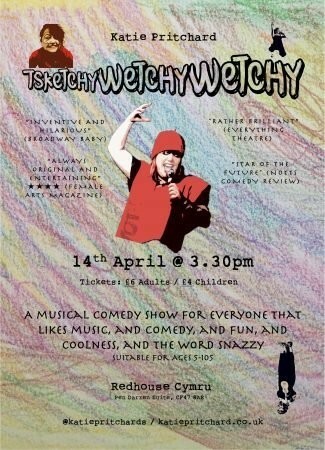 Part of the Merthyr Comedy Festival. A musical comedy show for everyone that likes music, and comedy, and fun, and coolness, and the word snazzy. The show will be held in “Penydarren Room” at Redhouse. Suitable for ages 5 – 105.